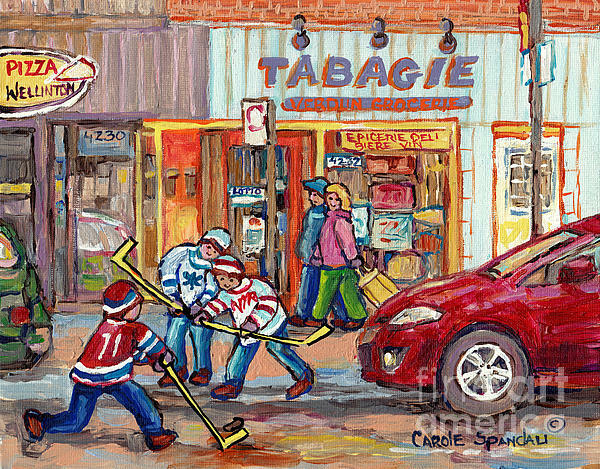 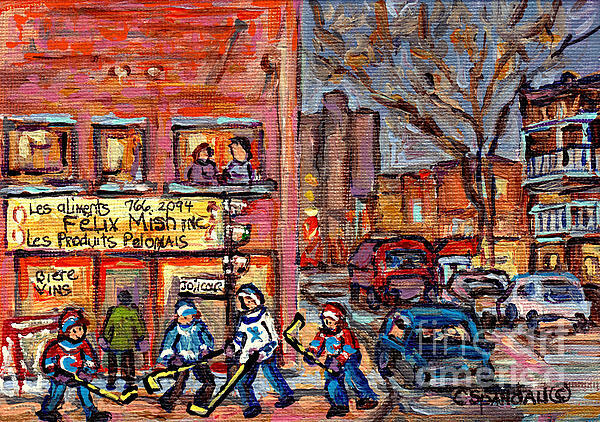 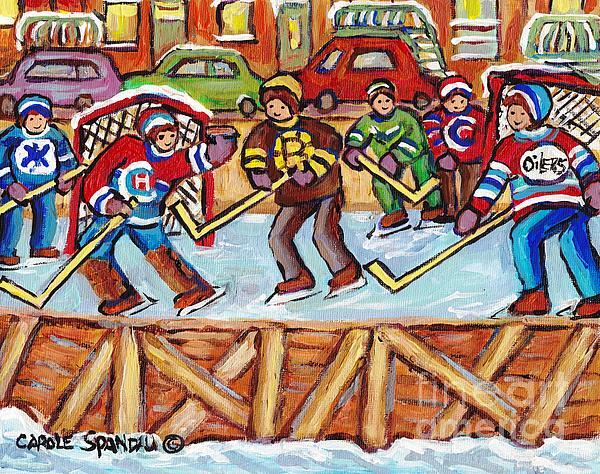 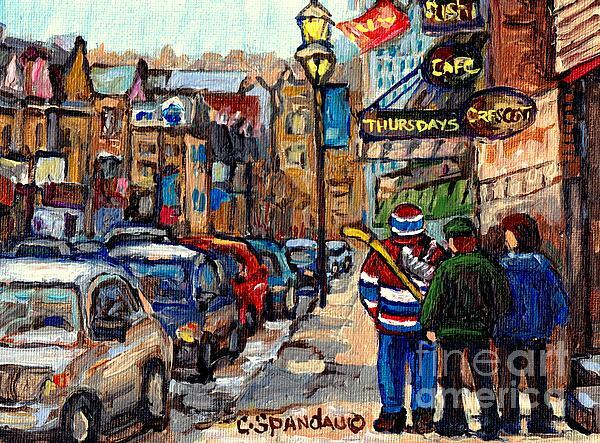 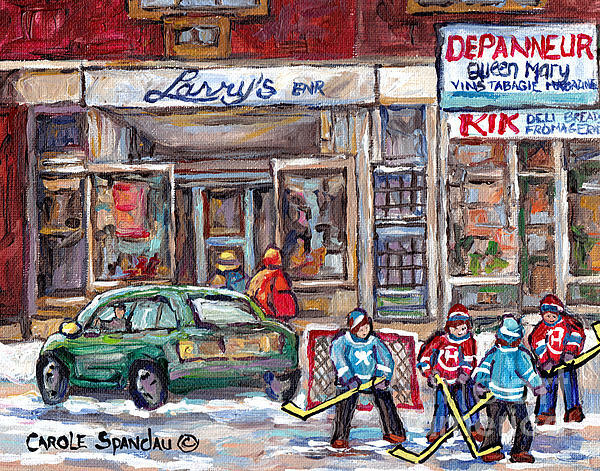 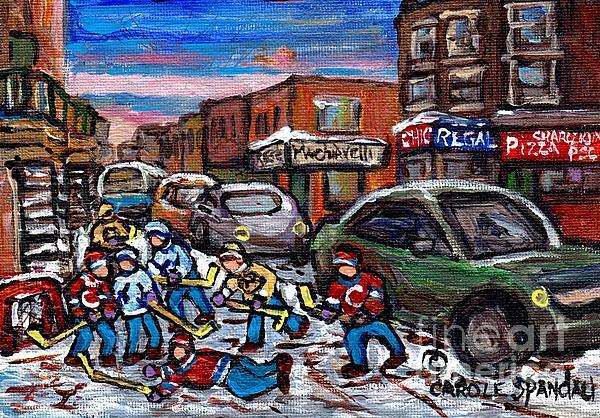 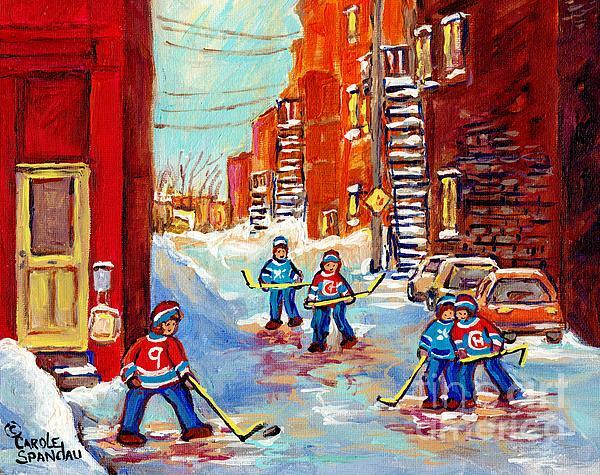 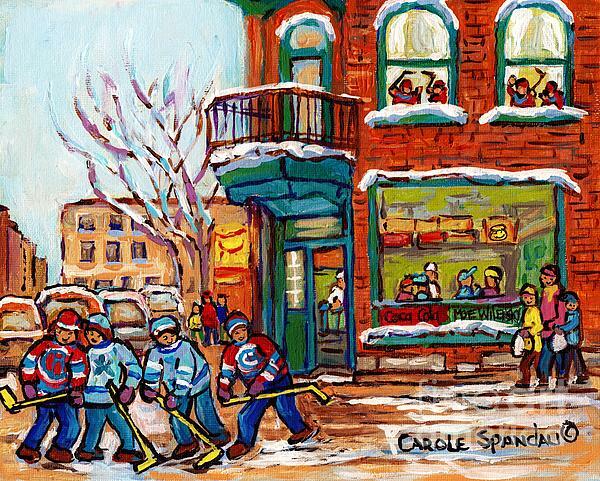 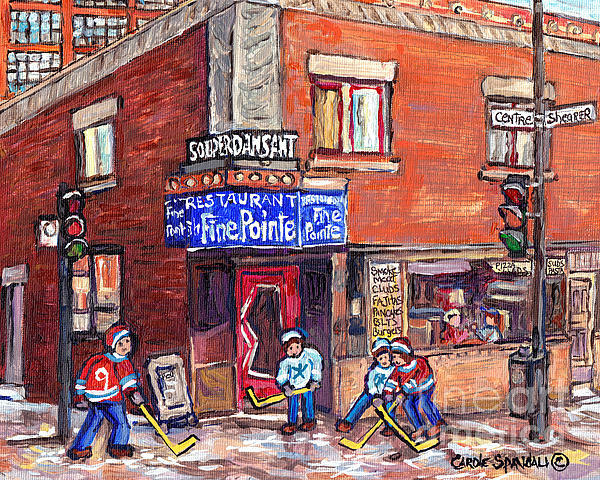 CAROLE SPANDAU is a CANADIAN FINE ARTIST,specializing in MONTREAL STREET SCENE PAINTINGS, QUEBEC LANDSCAPES, URBAN CITY SCENES, HOCKEY ART, AND CONTEMPORARY PORTRAITS. 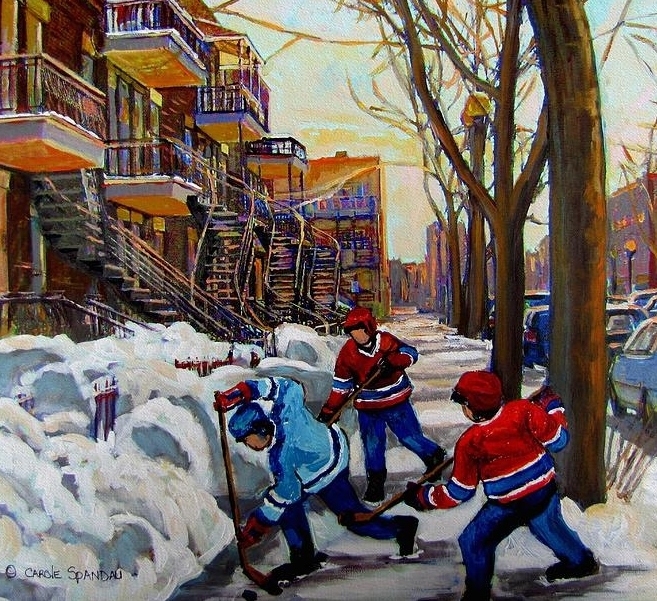 GRADUATE of ECOLE DES BEAUX ARTS BACHELOR OF FINE ARTS DEGREE; MCGILL UNIVERSITY BACHELOR OF ART EDUCATION; CONCORDIA GRADUATE STUDIES ART HISTORY. 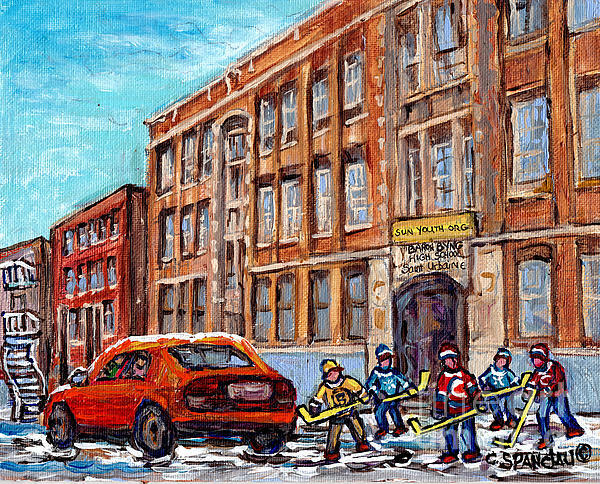 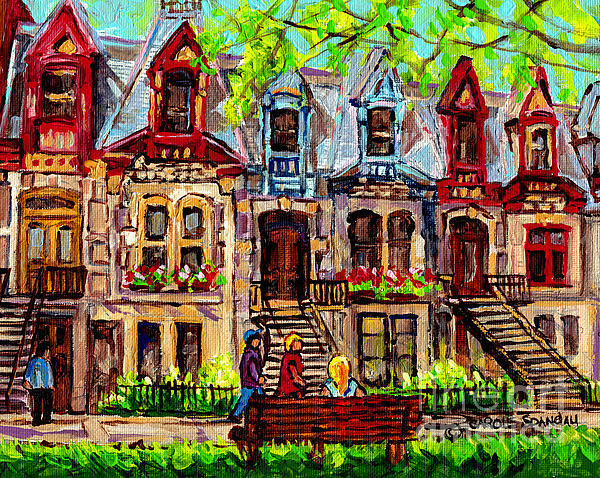 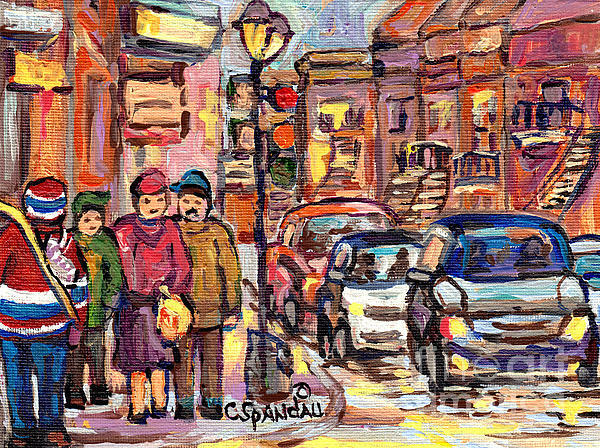 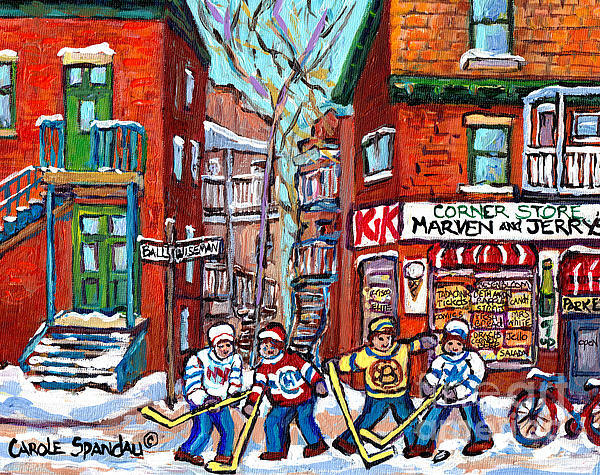 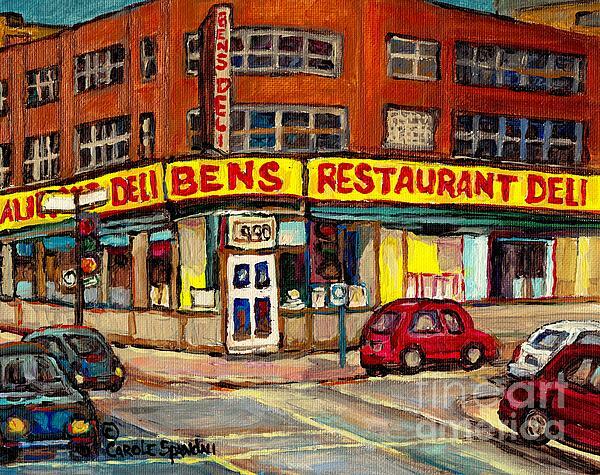 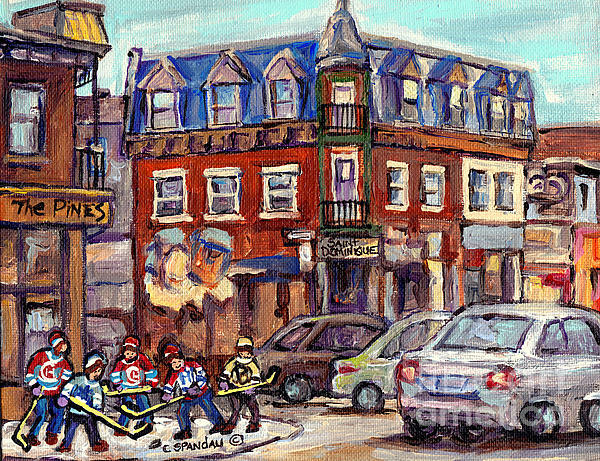 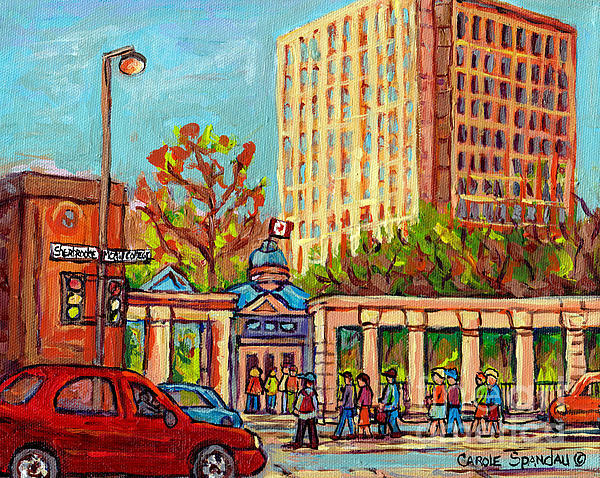 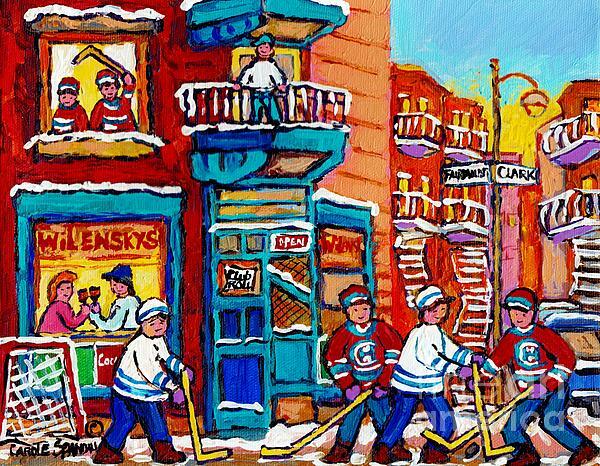 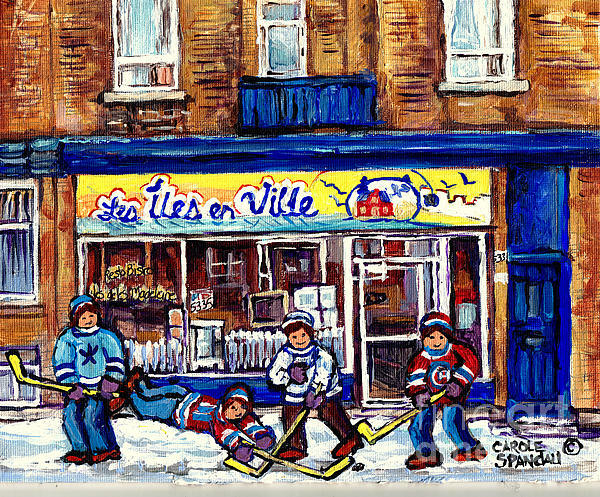 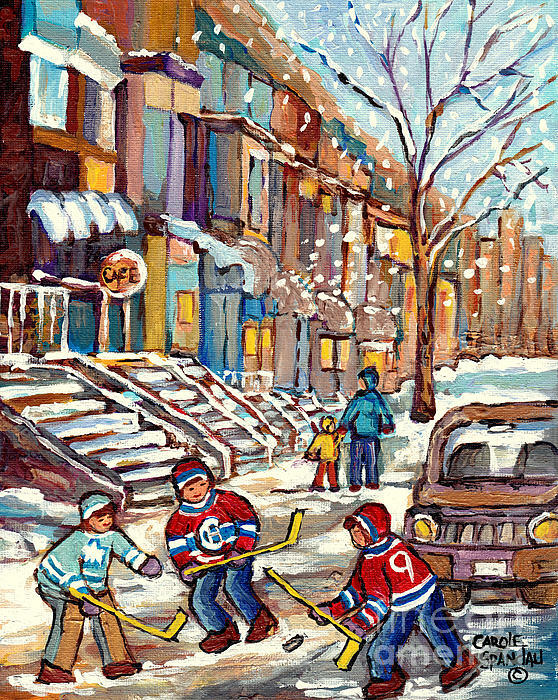 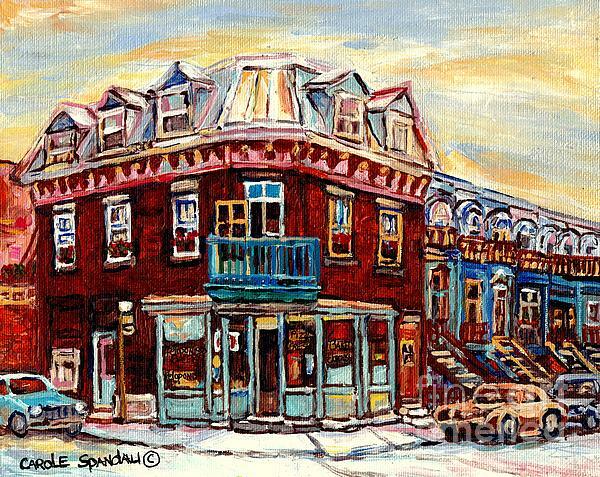 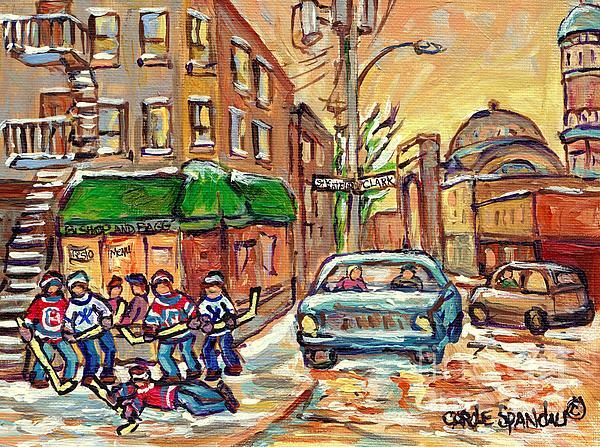 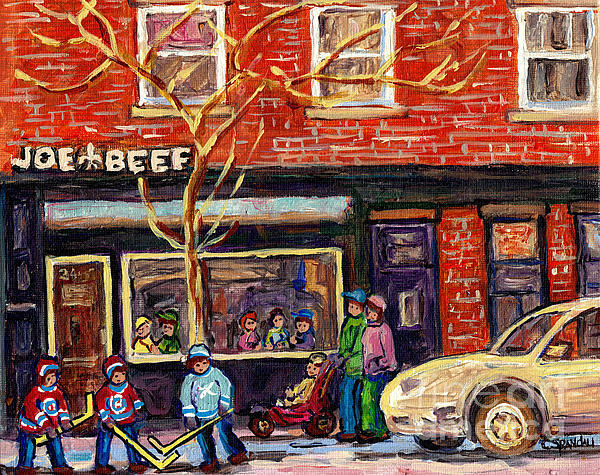 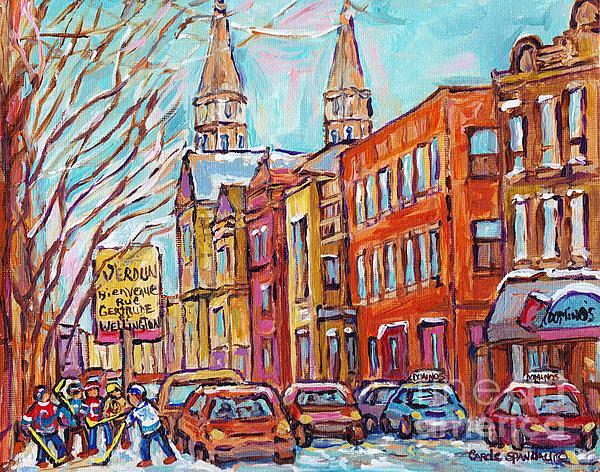 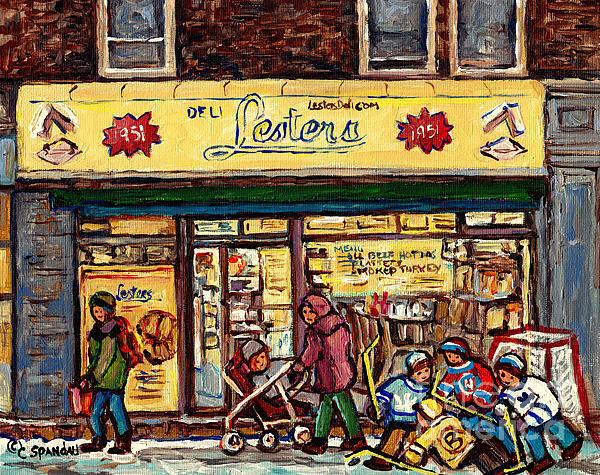 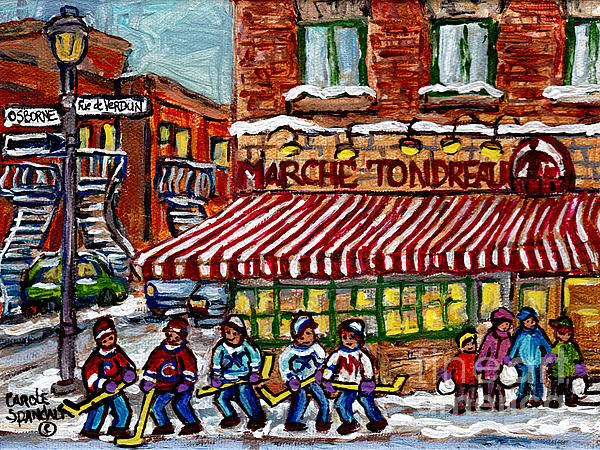 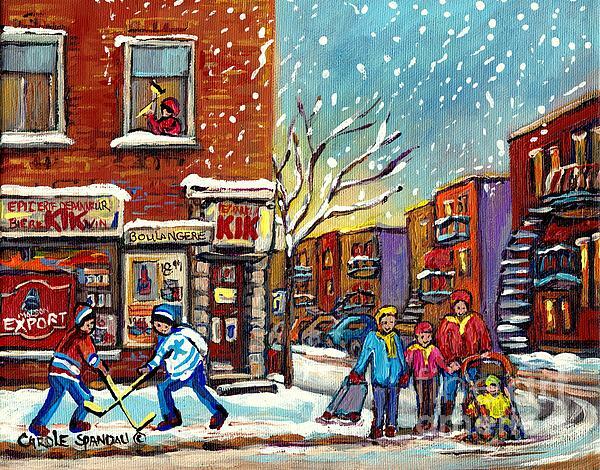 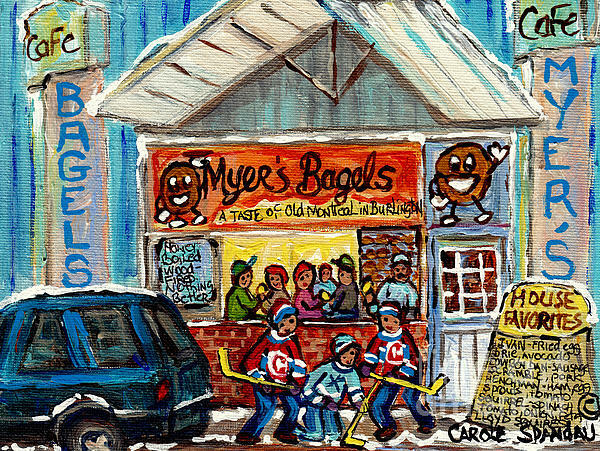 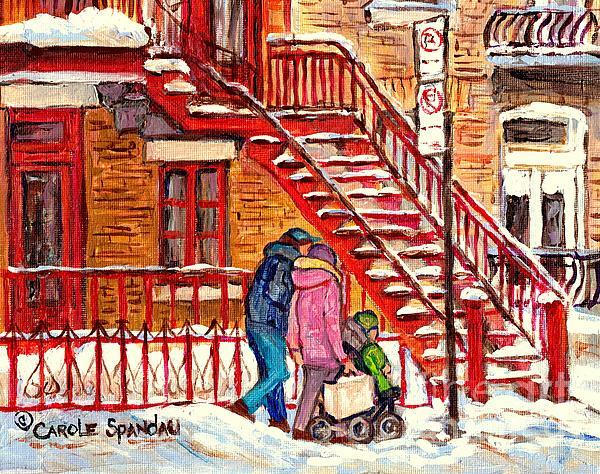 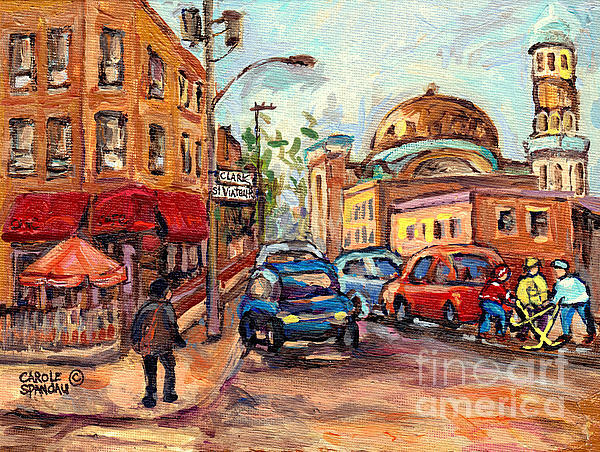 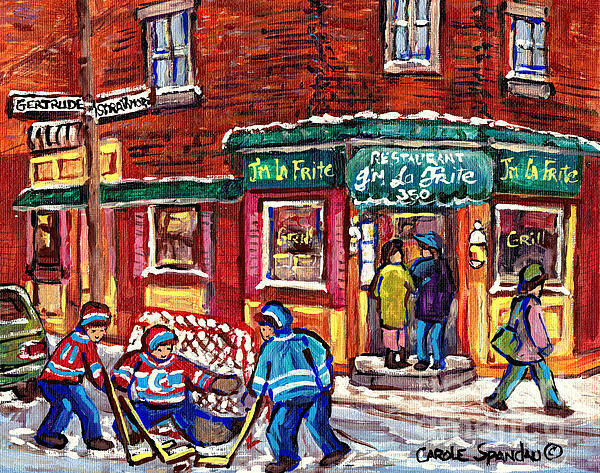 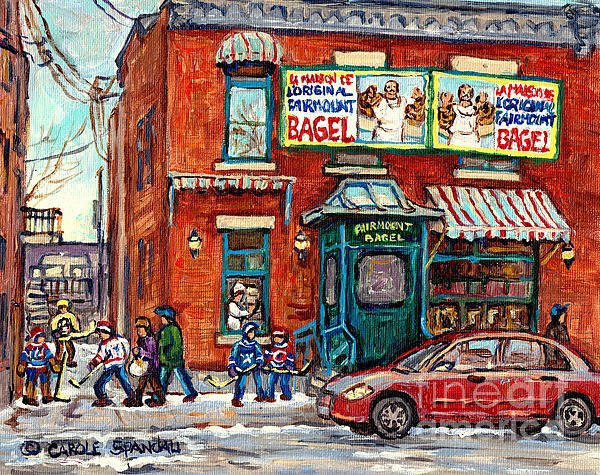 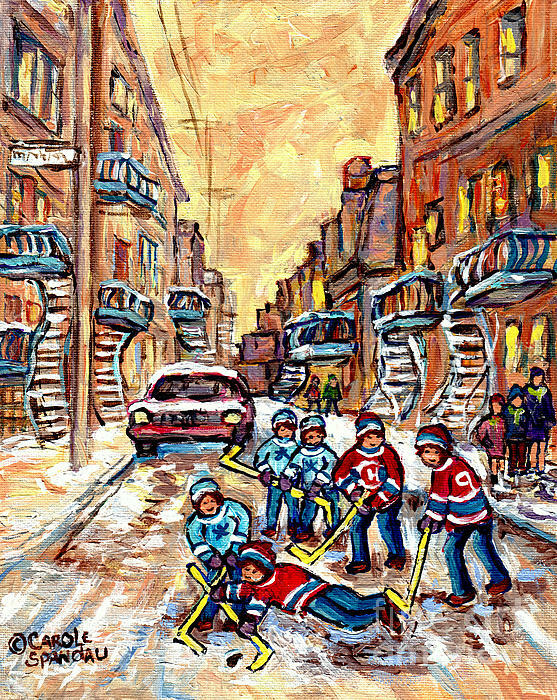 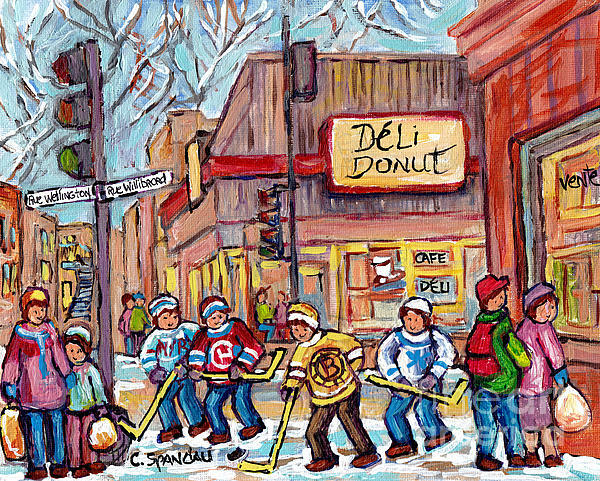 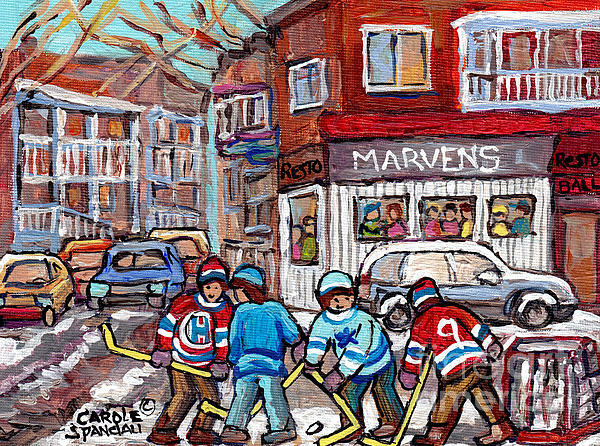 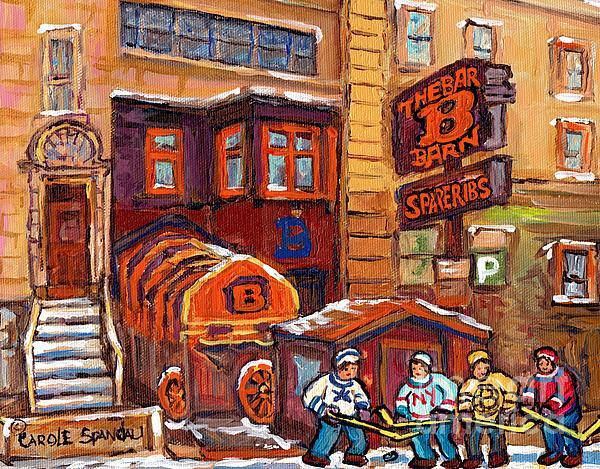 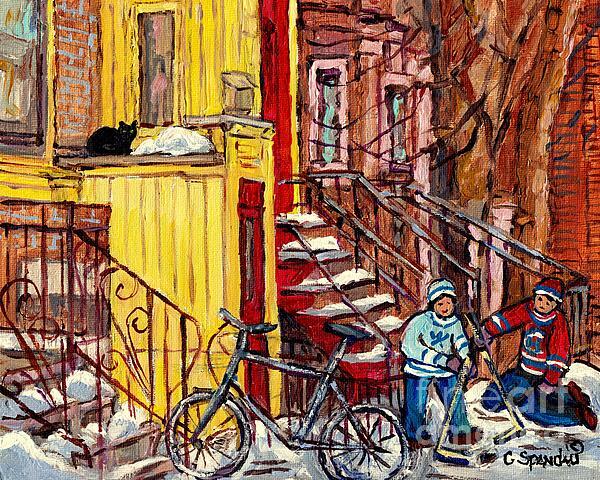 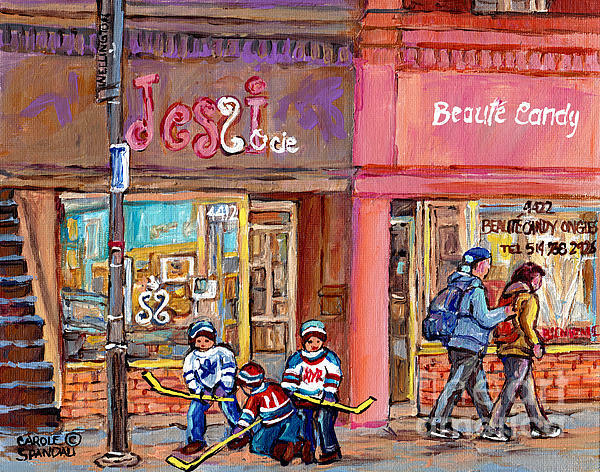 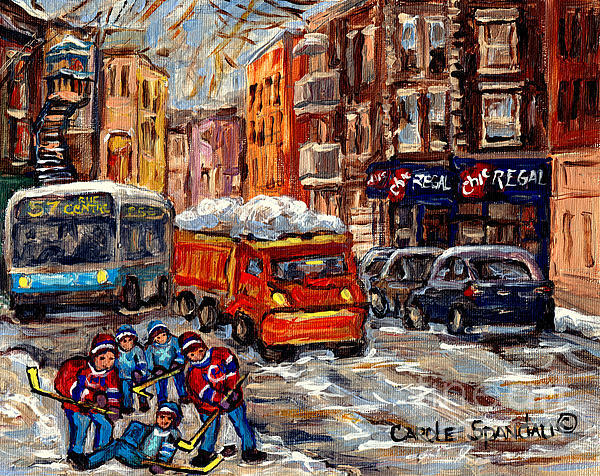 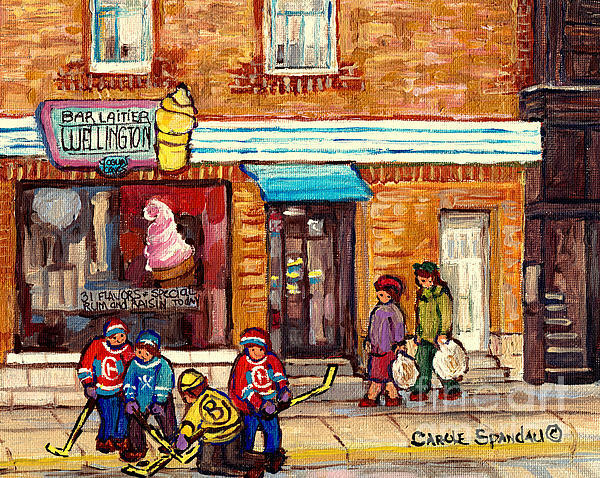 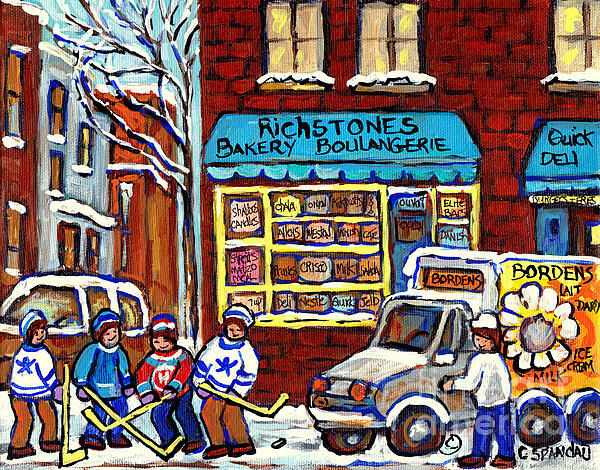 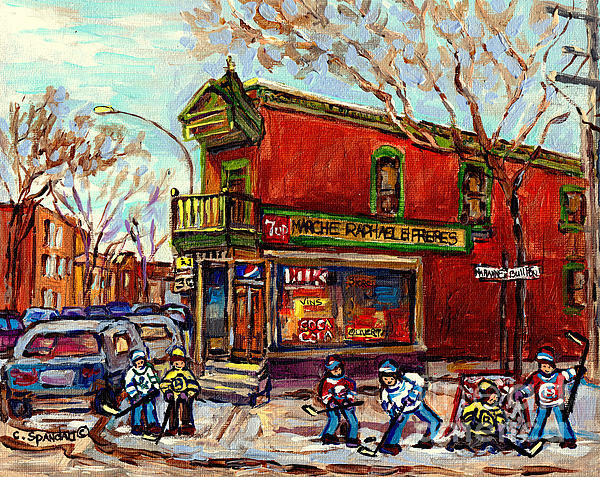 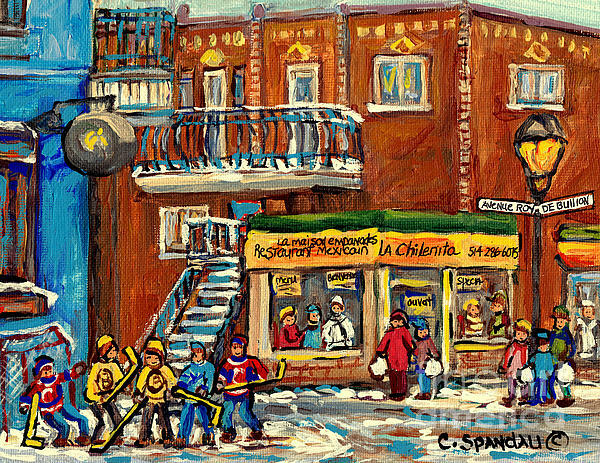 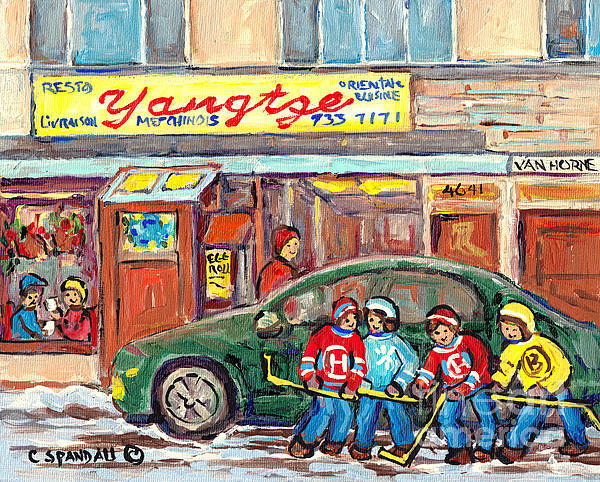 Carole Spandau was recently honored by CTV NEWS NET featuring her delightful paintings of Montreal street scenes. 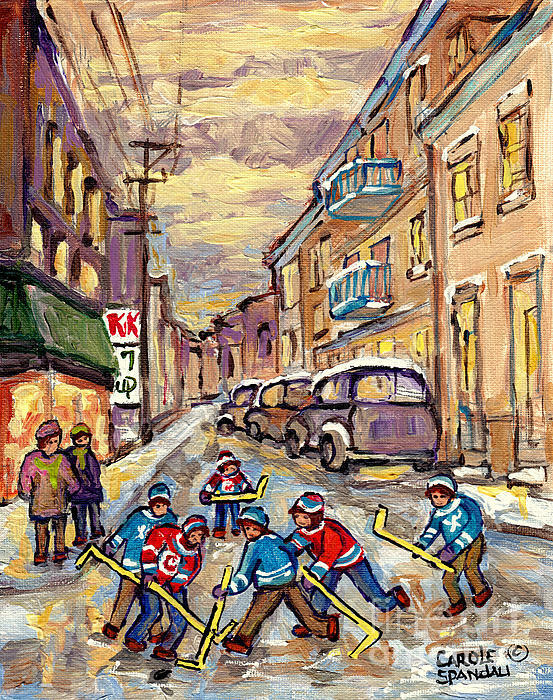 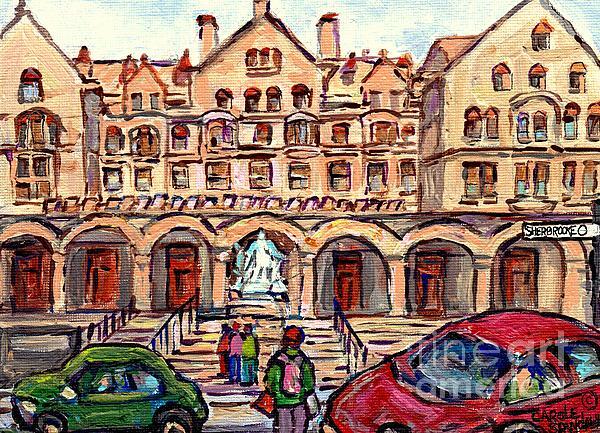 The interview aired repeatedly, coast to coast across Canada, resulting in a flood of new-client requests for her beautiful paintings of Montreal's magnificent winding staircases, nostalgic scenes of children playing hockey and popular Montreal landmarks..
She studied painting at the Montreal Museum of Fine Art and was mentored by Arthur Lismer founder of Canada's Group of Seven,her use of bold brushwork and expressive color came at an early age, and is the signature trademark appeal of her highly coveted paintings. 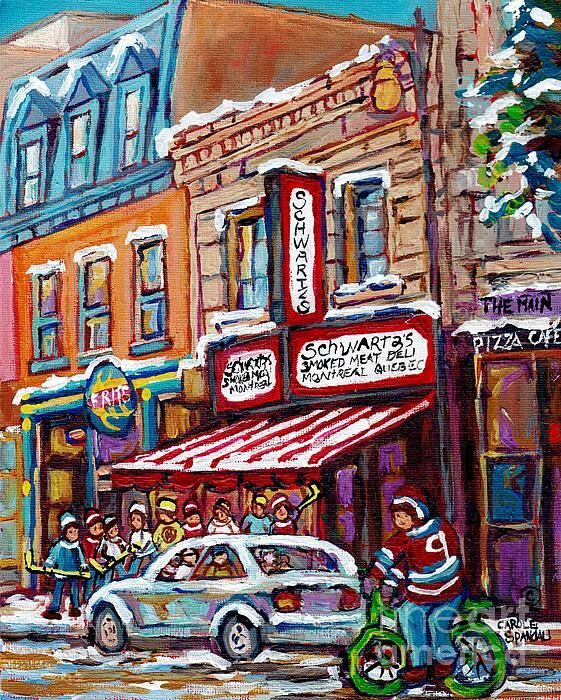 Her beautifully detailed oils capture the color,ambiance,joie de vivre, excitement and flavor of some of North America's great cities.Montreal comes to life on her canvases. 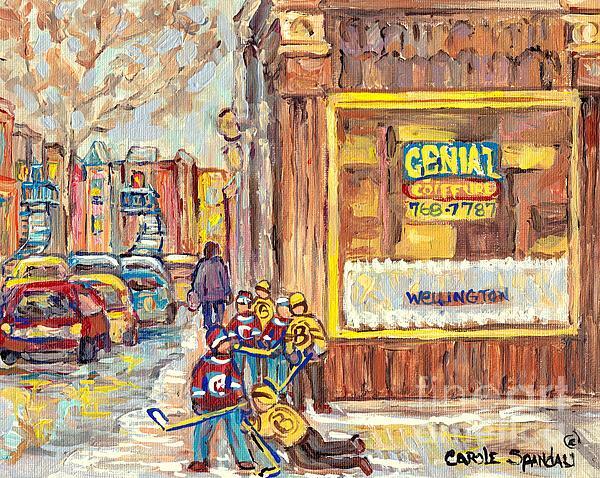 She is currently listed with the Magazin'art Biennial Guide to Canadian Artists in Galleries.Through the years, Carole has exhibited her works in numerous galleries. 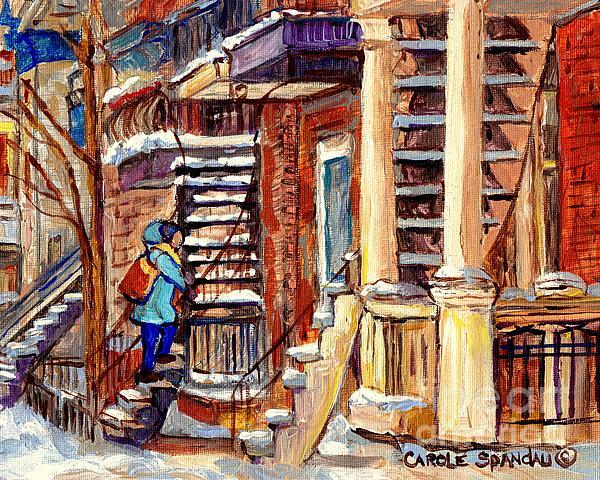 Carole's work can be found both in private and in corporate collections throughout the world.